BCIN was created to allow the private and public sector to collaborate and share critical information. For the last three years, FIU has sought partners to help establish BCIN’s key business and government requirements. We are very fortunate to work with South Florida’s emergency management community. These professionals have years of experience in dealing with many of the nation’s most devastating regional disasters. We have engaged private sector partners from well-established professional associations and communities that cover a wide range of sectors–financial, retail, logistics, manufacturing, services, infrastructure–and business sizes from local small businesses to the largest multi-national companies. Like their emergency management counterparts, our partnering private sector business continuity professionals have also a successfully prepared and recovered their companies in the face of regional disasters and have emerged with a keen understanding of what is needed both from the government and the community-at-large to facilitate a speedy recovery. For the next five years, The National Science Foundation will support the R&D of the BCIN Program through a Center for Research Excellence in Science and Technology grant awarded to FIU, HRD-0833093. This NSF award will allow FIU to conduct pioneering research into the management and mining of real-time, community-based disaster data. In addition, IBM’s Shared University Research Program has awarded FIU an IBM Blade Center and storage system, which will house the BCIN application, as well as seed funding for BCIN’s operations. Office Depot, Tropical Shipping, Blue Green, NCCI and Verizon Wireless. In May of 2010, we will add business members of the partnership. 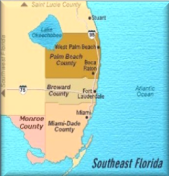 Florida’s Governors Office, State of Florida Emergency Management Office, Small Business Administration, FEMA Private Sector Office, South Florida Public Health Institute.